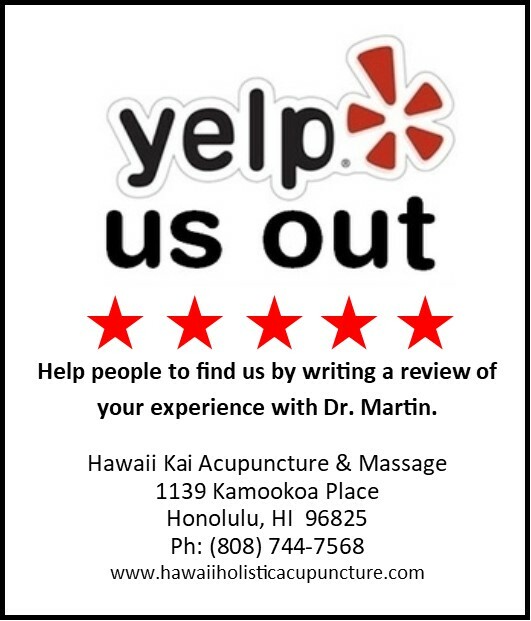 So very happy and grateful to discover Dr. Gloria Martin of Hawaii Kai Acupuncture ! Been searching for a Naturopathic Dr. / Acupuncturist in Hawaii Kai area for awhile and wish I had known about her a long time ago - but better late than never! Have had chronic back issues for about 12 years due to a past injury and through the years have gone to so many different doctors including osteopaths, chiropractors, 'body work healing', physical therapists, massage therapists, trigger point therapists, acupuncturists, etc. -- but none of their treatments lasted more than a few days. However, have recently had several treatments from Dr. Martin that have kept me 'pain free' for weeks before needing another treatment! This is the longest period of not having back pain and I look forward to being completely healed - which I know is already happening. Dr. Martin is a gifted healer and master in so many ways and is my special 'angel' ! Not only is she so kind, caring and genuinely down to earth- she is an INCREDIBLE Doctor!!! Thank you so very much Dr. Martin! "Dr. Martin not only works with her patients' physical ailments, but she tries to focus on spiritual and emotional energy as well. She believes overall wellness is the key, and she is right! I had issues regulating my menstrual cycle, but after a few short treatments she got my body on track. Also, I had the good fortune of getting pregnant shortly thereafter. Currently I'm maintaining a healthy pregnancy, and I owe a lot of it to Dr. Martin's care and constant encouragement. It helped to fortify my body and soul, and I can't thank her enough!" "Six months ago, my benign tremor condition brought me to the brink of depression. I could no longer sign my name and I could not eat without food dropping off my fork. The regular use of Acupuncture, Massage and Chinese herbs have helped my symptoms. I feel I can live a normal life again! Thank you Dr. Martin!" "I am 76 years old and have taken thyroid replacement medication (Synthroid) for over 40 years. Lately, I began experiencing symptoms of chronic fatigue with a very low energy level. My recent blood test showed normal thyroid levels. Dr. Martin suspected, and tested me for poor absorption of the medication. On her recommendation, I added l-tyrosine to my supplements and it worked! I felt better within a few days! I am so grateful for Dr. Martin's help"
"Relief, Recovery, Restoration for Fibromyalgia‎- ‎- Today Dr. Gloria Martin is a doctor who will come along once in your life time. I have had fibromyalgia for the last eight years and finally have found great relief and a new zest for life. I now have a great deal of energy, relief from muscle skeletal pain, and a new reverence for life. During my gentle acupuncture treatments, Dr. Martin helped recommend healthy foods to eat for my condition and I no longer have to take any medication for pain and or rash due to stress. Dr. Martin is very kind and compassionate which faciltates healing of the body, mind, and spirit. She is very intuitive and perceptive with her gentle nature that makes it so easy to converse with her.Dr. Martin is also very intelligent and wise. She has had faith in me and know I am entertaining the process of going back to school and finishing my degree. I highly recommend Dr. Martin and know that one will surely be on the road to wellness and healing." 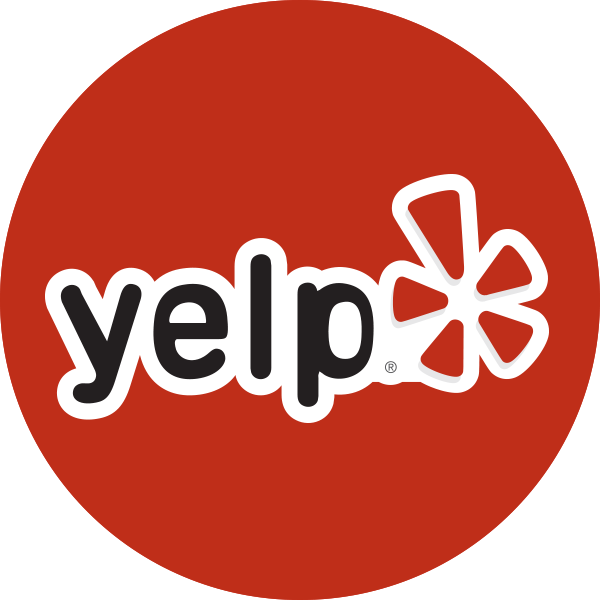 "While visiting Dr. Gloria Martin on a business matter, she noticed I was very anxious. I was extremely irritable, not smiling or laughing. I had a situation in my personal life that was causing uncertainty about the future, therefore, insomnia and irritability. As I am normally very upbeat, Dr. Gloria knew there was something wrong. She put our business on hold and gave me a single treatment. Within minutes of the treatment, I was again acting like myself. In fact we laughed a lot during our meeting and got very little business done. That single treatment helped me get through the next few months with much less stress, until the situation was resolved. Dr. Martin is a true healer."